Pencils Books and Dirty Looks: Best Tablet Stand E.V.E.R. I was recently asked by Shoplet Office Supplies to review the Kantek Rotating Desktop Tablet Stand. This stand is absolutely wonderful! I love it and my students love it. What I love best about it is that it rotates so smoothly. I can look something up on my tablet and then turn it for students to see. Also, students can produce something on the tablet and then turn it for me to check. The tablet can be placed vertically or horizontally. There are four angle positions to hold the tablet. 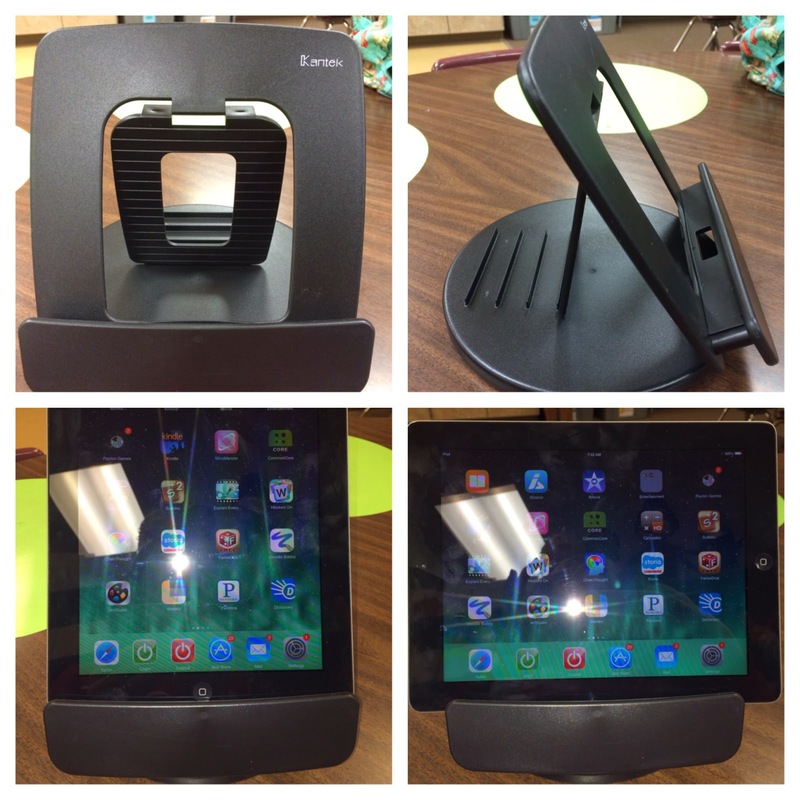 I have other tablet stands in my classroom that work great but do not rotate. I will be putting those stands in the closet because this one is my new favorite! The amazing thing is that Shoplet sells the table stand for $19.99 and others sell it for $100! You can check this tablet stand, other promotional products, promotional shirts, and office stationary out at Shoplet.com. February Writing Pack and I'm having a sale! !